To remain competitive and responsive to changing supply chain demands, fleet owners need real-time tools to protect their assets, improve their response times and manage their operating costs while maintaining the highest food safety and quality standards. TracKing is a flexible, real-time, responsive fleet and asset management tool that puts you in the drivers seat. TrailerTrak from Thermo King is the trailer management solution for non-refrigerated trailers. TempuTrak is the simple temperature management solution for direct-drive trucks and vans, heaters and non-Thermo King refrigerated units. © 2019 Thermo King Eastern Canada - A Division of Jonjo Transport Refrigeration Limited. 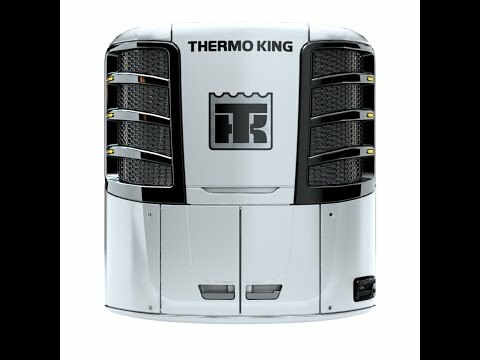 Thermo King Eastern Canada ™ Transport Temperature Control Parts. Thermo King Eastern Canada ߜ Precedent™ Single Temp. About Thermo King Eastern Canada ™ Delivering What Matters.